After getting around Buddy Lazier with five laps to go, Hornish mounted several serious challenges for the lead. He was able to pull alongside Giaffone at one point, but was not able to fully execute the pass. Buddy Lazier, winner of the two previous races at Kentucky, pulled under Giaffone's gearbox with 28 laps to go and looked like he might be on his way to a perfect record on the 1.48-mile superspeedway. "We didn't quite have the legs to get by Giaffone. I'd get a run on him, and he did a good job defending." Strategically placed to capitalize on any mistake by Giaffone or Hornish, Lazier waited for his moment to strike. "My only chance at the end was lapped traffic hopefully clogging up the first two guys, and I'd get a run on them." Lazier's third place finish marks his first top-five finish this season. The top-four cars all finished within a one second margin with Scott Sharp crossing the line 0.8142 seconds behind the leader. Sharp overcame a problem with his fuel meter settings and a broken weight jacker, earning a well-deserved fourth place finish. The fuel problem meant that Sharp ran "a few laps really lean" and without the weight jacker, "I couldn't adjust the car." Despite the problems, Sharp earned $56,650 for his efforts, saying, "we'll take it coming from 21st." Helio Castroneves maintained his contender status in the championship with a fifth place finish. Hornish took over the lead in the championship with his second place finish, while Castroneves maintained second place. Gil de Ferran, who entered the weekend atop the championship standings, slipped to third after finishing 21st, 18 laps down. "At the beginning of the race, the car wasn't consistent so we made changes during the first two pit stops which improved the handling," said Castroneves. "My third stint was the best the car was all day. At the end of the race, the car picked up understeer but we were able to hang on a finish fifth which is good for the championship." Al Unser Jr, returned to Indy Racing competition after missing two races while seeking treatment for alcohol abuse. 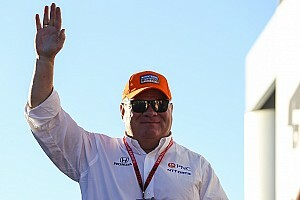 Unser finished sixth, 0.8803 seconds behind Castroneves. 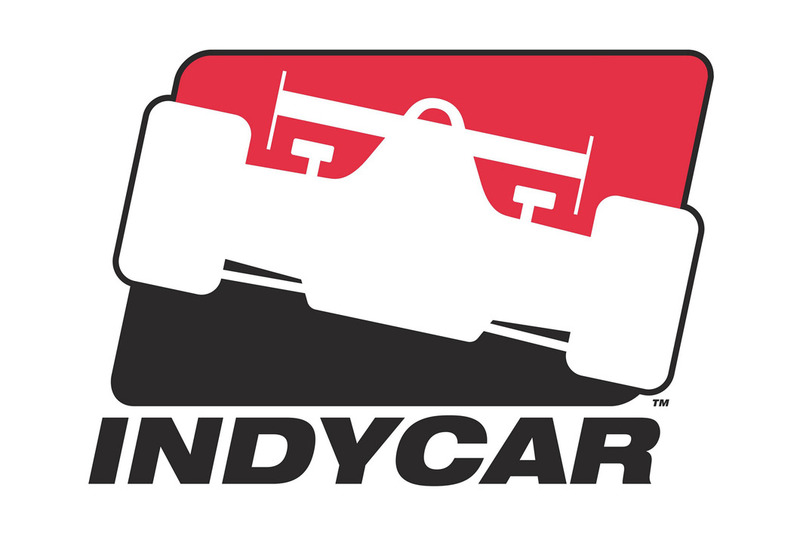 Sarah Fisher, who became the first woman in the history of Indy style racing to earn a pole position, pulled away at the drop of the green and led the first 26 laps. Fisher's three-second lead was erased by a lap 24 caution period when Richie Hearn tangled with Gil de Ferran. The field reported to the pits under yellow and Fisher returned to the track in tenth place. Fisher suffered handling problems while in traffic and finished eighth, five seconds behind Giaffone. Thirteen cars finished on the lead lap, an Indy Racing League record. The previous record was eleven at Nazareth, Indianapolis and Michigan, all in 2002. The Indy Racing League returns to competition in two weeks time at Gateway International Raceway in Madison, IL. 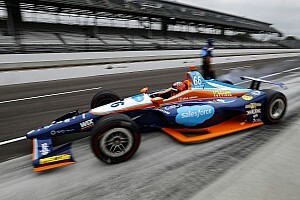 Prior to the start of today's race, 16 of the 25 starters had recorded Indy Racing League victories. Felipe Giaffone became the sixth different driver to score his first Indy Racing League victory in 2002. Helio Castroneves, Gil de Ferran, Jeff Ward, Alex Barron and Tomas Scheckter all scored their first victories in 2002. 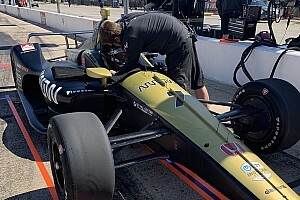 After wining the USAC Sprint car race on the high banks of Salem (IN) Speedway late last night, Ed Carpenter returned to Kentucky Speedway, where he participated in the final practice for the Infiniti Pro Series at 8:30 this morning. Carpenter finished second in the 67-lap race.